Dedicated to users and developers of high-powered systems, Laser-Induced Damage in Optical Materials focuses on the research field of laser-induced damage and explores the significant and steady growth of applications for high-power lasers in the academic, industrial, and military arenas. 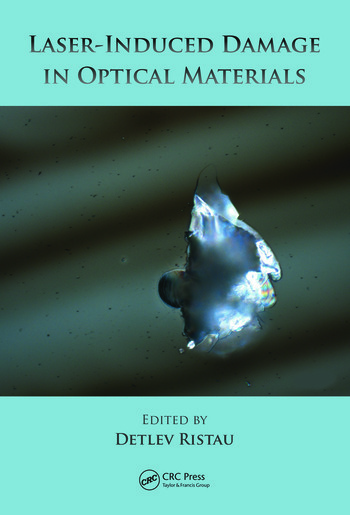 Written by renowned experts in the field, this book concentrates on the major topics of laser-induced damage in optical materials and most specifically addresses research in laser damage that occurs in the bulk and on the surface or the coating of optical components. It considers key issues in the field of high-power laser coatings, factoring in the effects of contamination and providing insight into typical application areas. The text first provides a basic understanding of theoretical and experimental methods and then summarizes the current progress, strategies, and improvements occurring within the field of laser-induced damage. 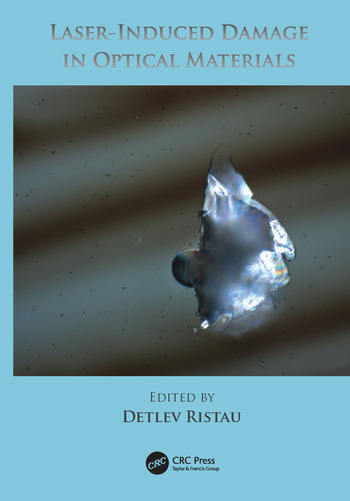 Divided into four sections, this book outlines apparent trends in modeling, and discusses measurement and evaluation techniques for laser damage thresholds in the context of international standardization and scaling laws for damage thresholds. Laser-Induced Damage in Optical Materials details a variety of fundamental investigations in laser-induced damage mechanisms and functions as a valuable reference for researchers and producers of laser components, laser and photonics engineers and scientists, as well as users of laser technology and thin film optics. Detlev Ristau completed his study of physics at the University of Hannover in 1982 and was awarded a scholarship at Rice University in Houston, Texas. He returned to Germany in 1983 and received his PhD at the University of Hannover in 1988. He is presently the director of the Department of Laser Components at the Laser Zentrum Hannover. After receiving a state doctorate in 2008, he was appointed professor for applied physics at the Leibniz University in Hannover in 2010. Professor Ristau is the author or coauthor of more than 300 technical papers and has published several book chapters. "I recommend this book for readers from diverse backgrounds (optics, materials science, physics, and engineering)."